In December of 1961, twenty-year-old Krishna Bedi landed at a port in New York armed with only 300 dollar in his pocket and a resolve to study engineering in the United States. What transpired then is a story of one man's perseverance and determination to create the life he had always dreamed for himself as a little boy in India—a place where his options seemed anything but limitless. Krishna K. Bedi’s memoirs reflect the hardships and the triumphs on his path to fulfilling his dream of becoming an engineer and returning home to India as a successful man. 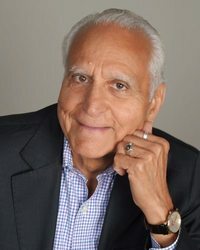 A lesson in attitude, survival, perseverance and grit, Bedi brilliantly narrates the story of the immigrant experience, his close-knit relationships and enmeshing cultures—a story that not only affirms the American dream, but also resonates with millions. Going abroad for studies is common nowadays. But if we try to imagine the scenario of such students a few decades ago, then we can see the chaos they underwent and the challenges they faced. I remember my maternal uncle who had migrated sometime in late eighties sharing his own share of horror stories with us. By the time my brother and other cousins planned to go abroad life had pretty much turned easier there. Due to onset of technology and of course so many Indians now living across the globe the feeling of being homesick remained just that, a feeling. Initially the challenges were not limited to just food and culture, it was also about language, weather, social interaction, cost of living, adapting to a totally different lifestyle, creating a new life from scratch at an age when you are not that adaptable to changes. Today Indian food is available easily and with Netflix and Hollywood movies easily accessible, our spoken English skills are well endowed to help us survive in a foreign nation easily. 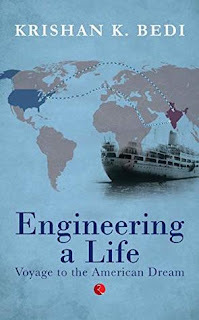 Coming to 'Engineering a life' by Krishan Bedi, the book is a memoir which traces the author's journey as an aspiring student in the sixties who had migrated to America and decided to work hard for a better future in this land of opportunities. With lucid language and some bitter sweet memories shared with the readers, the author has presented a moving picture of his life so far. Krishan Bedi arrived in the US by boat with only $300 in his pocket in December 1961. A twenty-year-old from the tiny village of Punjab, India, he had big dreams and ideas of what he wanted to do with his life. He eventually earned a master’s degree in industrial engineering at the University of Tennessee. After nine years in the US, he returned to India to have an arranged marriage; together, he and his wife again left for the States, where Bedi developed a career as a healthcare executive. He’s since served as member of several healthcare professional organizations, and is currently a member of the board of Indo-American Society of Peoria. Bedi is a contributing author to The Magic of Memoir, edited by Linda Joy Myers and Brooke Warner. In his spare time, Bedi enjoys reading, cooking, spending time with friends and family, and participating each year in St. Jude’s 465-mile Memphis to Peoria relay-run, which has raised over $80,000 for the St Jude Children’s Research Hospital in Memphis, Tennessee. He now lives with his wife in Peoria. They have three successful sons and five grandchildren. Opening up your entire life before anyone, is not easy. It requires courage and at the same time, needs a lot of patience to remember each and every milestone after years to write about it. The author has done a stellar job in piecing his entire life, incident by incident and laying it before the reader. The core theme of this book is life's challenges and how the key to succeed in life is to never give up despite all that comes your way. 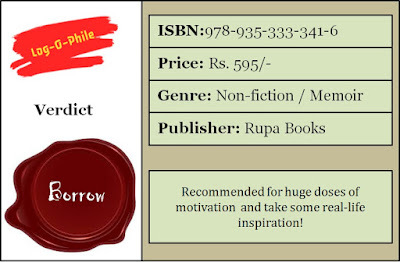 His failures, missteps, challenges and the misfortunes, all are woven with the thread of inspiration to create an awe-inspiring narrative for the reader. The author has adapted an extremely light tone, laughing at the memories and make the reader chuckle too at a lot of places on the absurdities of life at large. The details are pretty visual, making you imagine those scenes as they happened and have the power to make you time travel to that era when the author was a young lad full of dreams and aspirations, raring to go! His battles were manifold, emotionally, mentally, physically and also spiritually. Living in a new country, all alone can break your soul. And it is not a mean feat to stay sane despite all the pressures one faces to survive. The overall presentation of the book is brilliant with a hard bound cover in light blue with the world map embossed on it in shades of grey. However, there are a few places where I feel the editor could have done a better job. 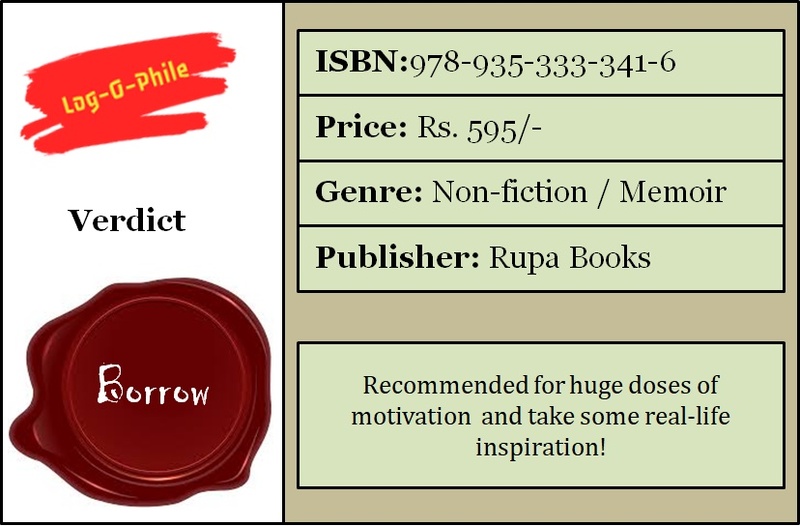 There are few places where the incidents seem prolonged without any impact on the narrative or the reader, while on the other hand there are incidents cut short too abruptly which could have actually added interesting twists to the narrative. The plot is layered, however there are lot of places where the descriptions fall flat making it drag. Overall, recommended for students who are aspiring to move abroad and carve a niche for themselves in the foreign land for the sheer motivation in the narrative.